No matter what type of business you run in Ottawa you can benefit from having the right set of garage doors for your facility. At Ottawa Garage Door , we install high quality commercial garage doors designed to suit your specific requirements. Whether you need to account for a single truck or a fleet of oversized vehicles, we can fashion a solution that works for you. • General cleaning – Your garage door is susceptible to the elements, and it’s not surprising that debris, dust and other particles can accumulate in the tracks and hinges, preventing your doors from opening and closing fully. This can be prevented simply by cleaning the hinges, tracks and other parts of the garage door regularly. When you hear a noise when your door opens, it’s probably because something is stuck in the tracks. • Lubrication – Aside from dust and debris, your tracks and hinges are also vulnerable to rusting and deformities. Each time your commercial garage door opens and closes, the parts sometimes scrape together, and in some cases, the edges become sharp, jagged and deformed. To keep things running smoothly, make it a point to oil the hinges, tracks and coils of your garage door every now and then. Not only does this make your garage door more efficient, it also lengthens the lifespan of its parts. 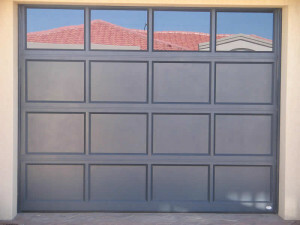 Way Choose us for your commercial Garage Door?! you’ll benefit from our quality workmanship and commitment to your complete satisfaction. Our industry experience is evident in the work we do. And we pledge to complete your installation on time and within budget. With reasonable rates and a dedicated team of professionals, Ottawa Garage Doors is the company to trust for garage doors repairs and garage door opener installation in Ottawa. Call today for more information or to schedule an appointment with a helpful representative from our team.